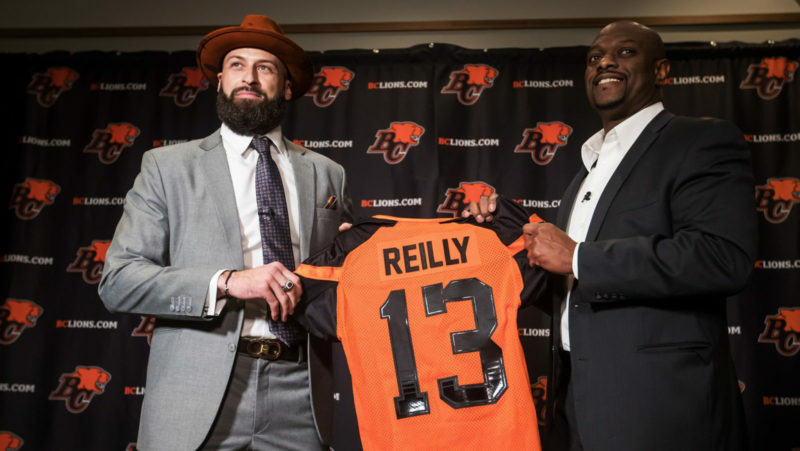 Every CFL season brings about surprises. And that’s especially true when talking about an individual player perspective. 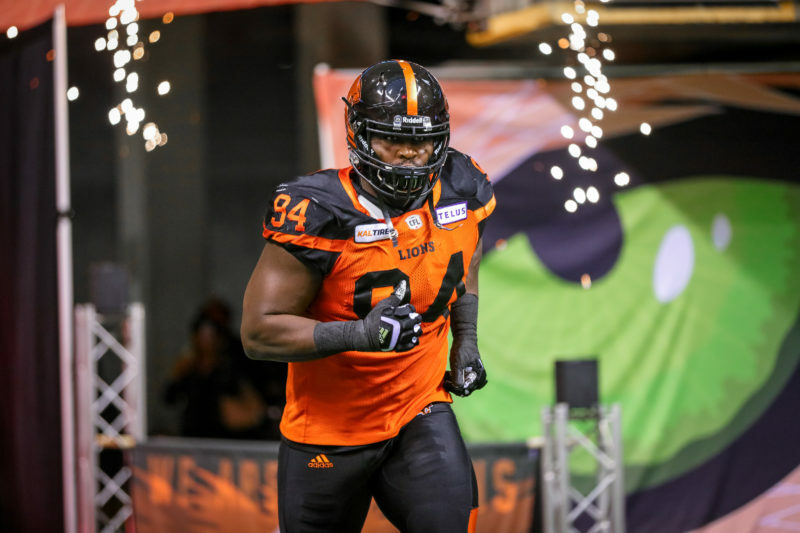 Had you scanned the BC Lions roster on opening day of 2018 training camp, you’d be forgiven if you didn’t make a point of etching Claudell Louis permanently into your mind. After all, the start of every camp also has its fair share of guys who won’t be around in a matter of days. But after making an immediate impact upon his promotion to the active roster and earning the team nominee for league Most Outstanding Rookie, it’s safe to say Louis himself was pleasantly surprised. 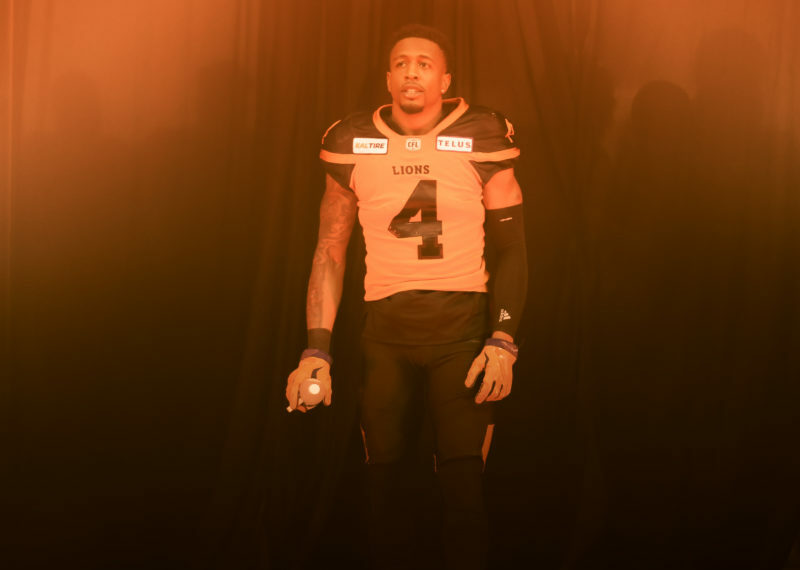 The playoff loss in Hamilton will no doubt fuel Louis and other returnees to achieve a happier ending in 2019. The native of Haiti- by way of West Palm, Beach Florida where his family moved when he was just ten years old- earned himself a contract for this season and is already hard at work in preparing for an even better encore. 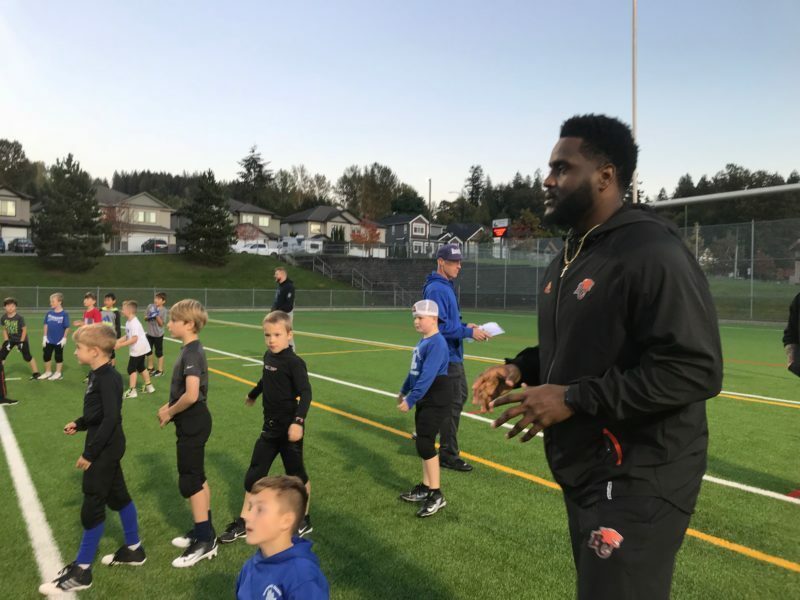 Louis made the decision to stay in the lower mainland this offseason where he is devoting much of his spare time taking part in the club’s community school visits, a major pillar of the Lions’ brand and something his teammates encouraged him to try. A gentle giant off the field, helping kids make the smart life decisions is something he has really embraced. Even if he had to sacrifice the sunnier, warmer climate in Florida. “It’s a great opportunity to get out there and give back to the community. That’s something I’d always wanted to do,” explained the defensive tackle. The chance to hear a professional athlete speak about life decisions and the importance of being a good role model can certainly be an invaluable lesson for any youngster. Especially as times continue to change. “You can always tell there is a couple who might not be listening but if you can get your message across to at least one or two of them then you can look at it as a successful day because, having experience working with high school kids in the States, I feel sometimes they think they know it all. When you can get that message across, then it’s a win,” Louis added. When he was last in his offseason home, Louis spent time working out with fellow Floridian Randy Richards of the Calgary Stampeders. 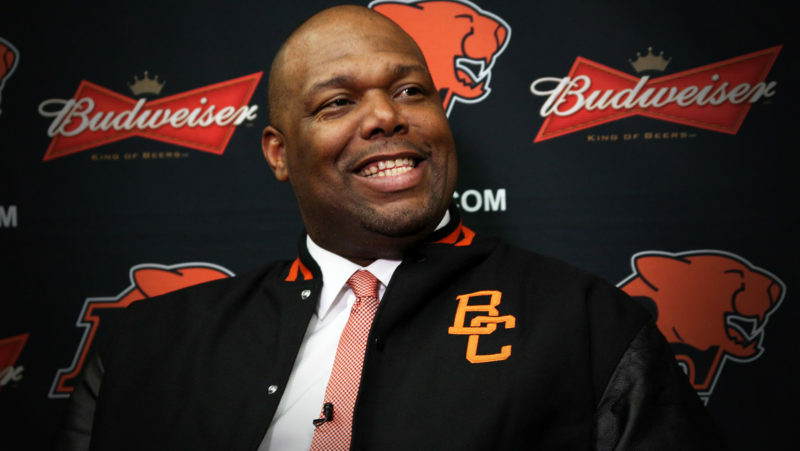 The offensive lineman gave Louis a glowing review of new Lions head coach DeVone Claybrooks; the man who constructed Calgary’s championship defence that Richards practised against every day. “I’d heard a lot of great things about DeVone and then Randy spoke very highly of him,” Louis said. Given his commitment to Greater Vancouver this offseason, Louis has made sure to take extra advantage of quality family time in Palm Beach. His working-class parents are no doubt proud at his recent accomplishments; his father Winer works in a hotel while his mother Ilna works with the elderly. “I’ve gotten used to it because I’ve been away since I was 18 years old,” he said. Claudell Louis helps out at a Meadow Ridge Knights community football practice on October 4th/2018. Along with spreading the message at schools across the province, Louis has been fortunate to see more of the city, something that isn’t as easy when he’s devoted to football between May and November. “I’ve liked going downtown and seeing parts of Vancouver that are hard to get to during the season,” Louis said. Don’t kid yourself though. 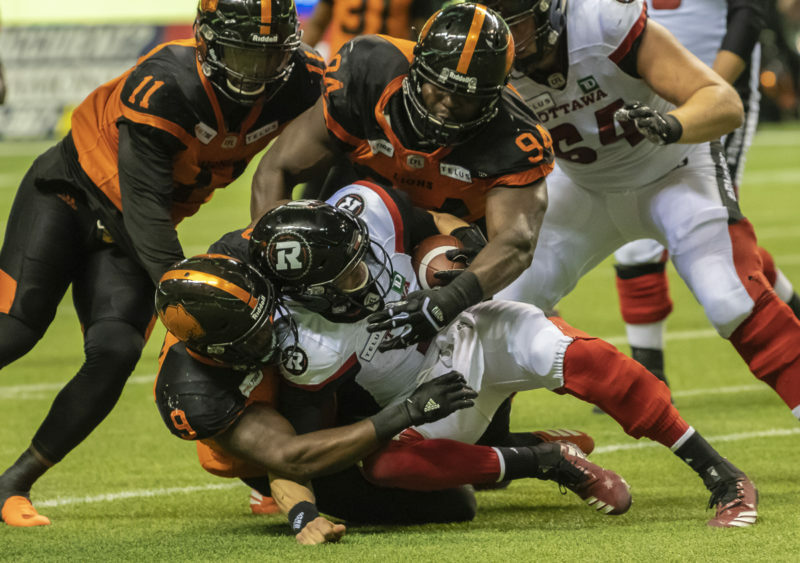 The quest to sip from the Grey Cup remains the clear-cut number one mission. ”I’m looking forward to helping this team make a championship run,” he proclaimed.